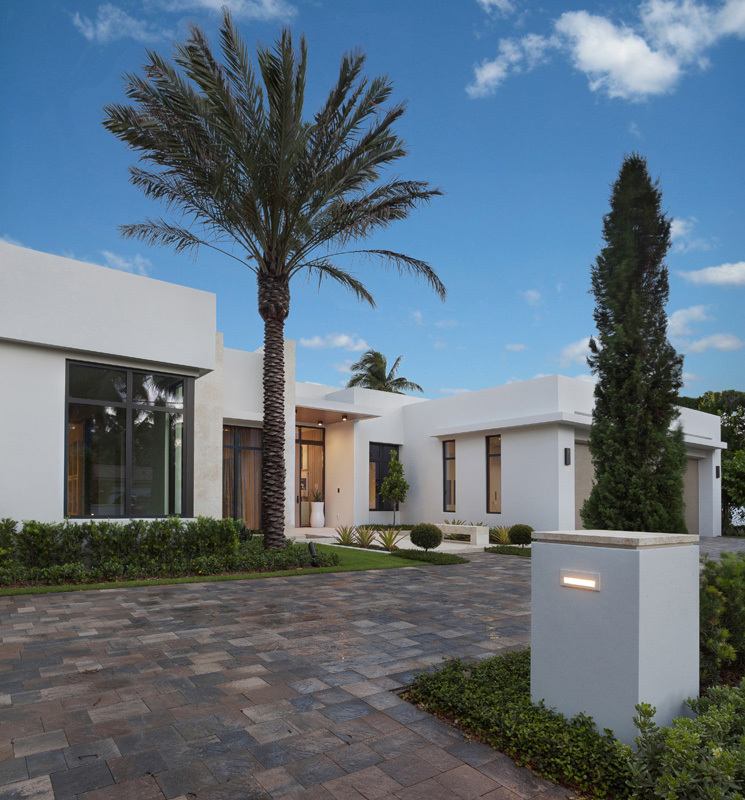 This modern 1-story custom home is located on the Intracoastal Waterway and boasts 5,706 square feet a/c and 7,210 total construction. 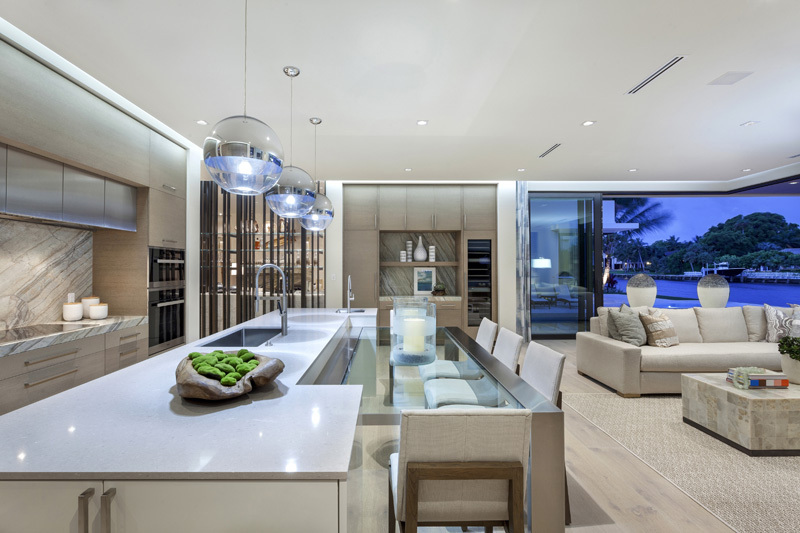 Sleek interior surfaces and textures pair with modern lighting to create a space that is visually stunning yet completely comfortable. 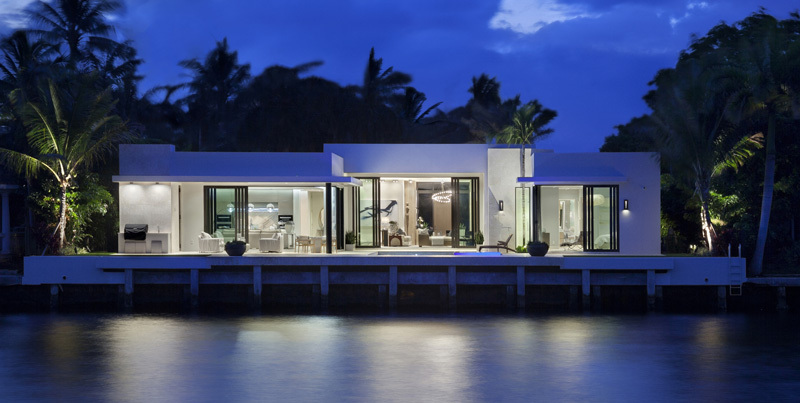 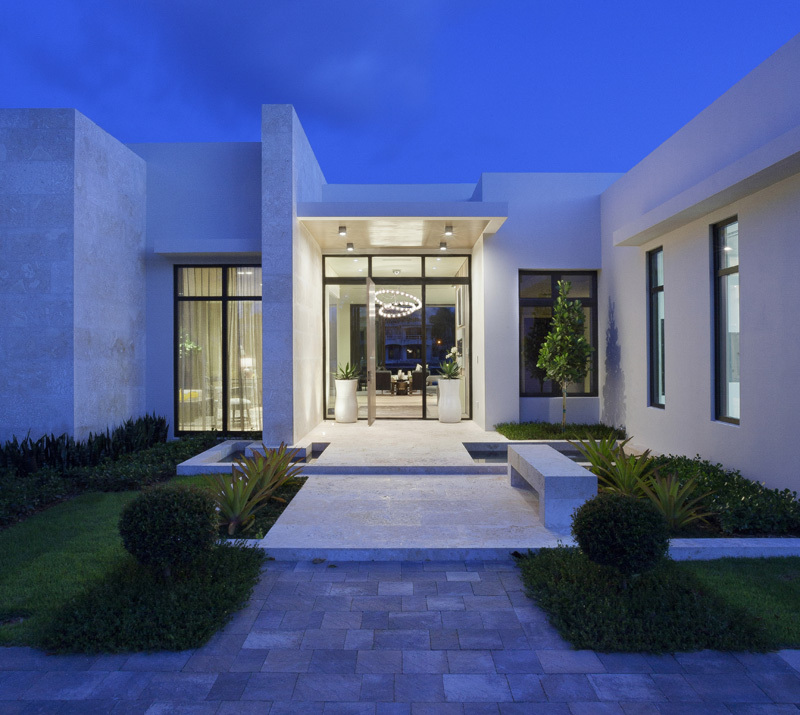 The clean look and feel of the home is further accentuated with a limited color palette that allows the natural beauty of the sky, water and landscape burst forward in every view.